Unc0ver lead developer Pwn2ownd has spoken out on Twitter, this time to reaffirm his belief that Cydia Substrate will be updated to offer A12/A12X compatibility. However, this work relies solely on Jay Freeman and will be undertaken when time permits. 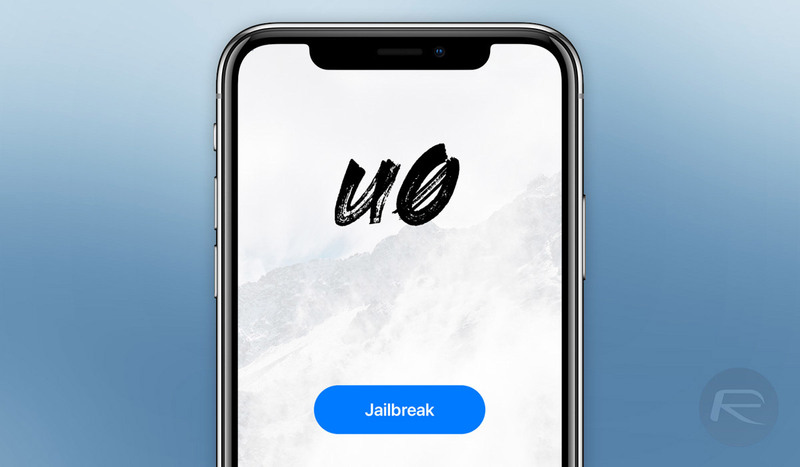 The unc0ver jailbreak is fairly extensive in the fact that it supports all versions of iOS running from iOS 11.0 through to iOS 12.1.2. Cydia Substrate is still being maintained by @saurik – He has been very busy but he still has plans to work on it once he has time. The tweet essentially confirms that Cydia Substrate is still under the control and maintenance of Cydia founder Jay Freeman, and that, as such, responsibility clearly falls on his doorstep to ensure that it is updated. It is definitely a positive that the tweet mentions that “he still has plans to work” on the issue when he has time, and we can only deduce that Pwn20wnd is actually in communication with saurik to that effect. With that said, those who are running iOS 12.x.x on iPhone XR or iPhone XS/Max are still unable to enjoy the full jailbreak due to this situation. Naturally, people are now starting to question whether or not this work will actually happen. 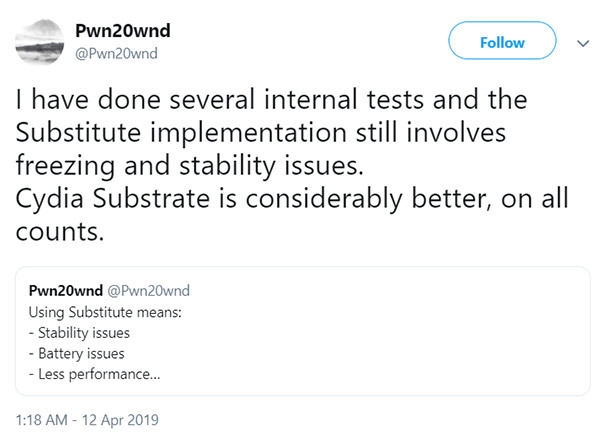 Pwn20wnd has also tweeted about the difference in Substrate and Substitute after being questioned why Electra12 bundles Substitute over Substrate. Namely, the developer stipulates that using Substitute over Cydia Substrate would result in stability issues, less control over the overall system, fewer injection possibilities, and perhaps most concerning, battery issues. We can deduce from all of those potential issues that the unc0ver team isn’t exactly keen on plastering over the iOS 12/A12(X) cracks by implementing Substitute for what would likely be a small amount of time. As always, if any additional information filters into the public domain we will be sure to let you know. Jailbreaking died for me a few years ago once the untethered jailbroken experience was lost. Beside that fact apple have introduced features natively and the vast majority of these features were once only available to jailbroken users. I currently have an iPhoneX on 12.1.2 and have no real desire to jailbreak at this time but I shall remain on this firmware just in case I want to theme my springboard or have some alternate icon animations!